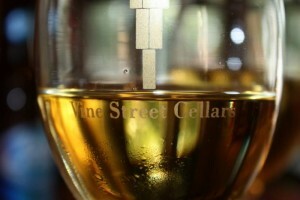 The east side of the Glenwood town square is home to Vine Street Cellars. We specialize in wines made from American and French-American hybrid grapes. These grapes are locally grown by Black Wing Vineyard and in Glenwood, IA, bringing a unique American perspective to wine. Our wine is processed and bottled on site and assure every taster will discover a new personal favorite. We host Sacrilegious Ciderworks hard apple cider on from production to service of draft cider. Iowa brewed beers are available on tap from Keg Creek Brewing Co. & other local Iowa Breweries. The tasting room as well as the outdoor patio provides a relaxed, welcoming atmosphere with a touch of class whether enjoying a bottle of wine or booking your private party.